Like any effort, Ezer Mizion’s Golf Tournament needs a dedicated team to ensure the event’s success. Join our ranks as an event sponsor. Express solidarity with Ezer Mizion’s registry and send a powerful message to the world while giving your brand international corporate exposure. Together with the patients for whom a stem cell transplants will mean the difference between life and death, we salute our sponsors! Histogenetics, based in New York, USA, is an international leader in DNA sequence-based (SBT) tissue (HLA) typing services and serves clients around the globe. Histogenetics has been developing sophisticated tools by integrating robotics and bio-informatics to provide the ultimate quality of HLA typing information to the community that could save lives. The Cnaan-Maximedia outdoor media group is Israel’s best and largest outdoor media firm giving every client the perfect end-to-end solution for all their media needs. This year’s Ezer Mizion golf shirts are Temperature Control Apparel from Argaman Technologies in Israel. Inventor Jeff Gabbay explains that the surface area of the filaments in each shirt is greater than the size of the entire Caesarea Golf Club. This patent pending bi-component textile is a breakthrough in core body temperature management. It delivers true measurable performance, which is why astronauts aboard the orbiting space station will be wearing and evaluating these shirts for the NASA Mars mission. The foundation of our success, and at the heart of Teva, is our vision to be the most indispensable medicines company for the world, executing on our obligation to our patients, customers, shareholders and employees. At Teva, we’re passionate about improving quality of life and healthcare globally. This is our ongoing mission as we touch the lives of millions of patients everyday, and billions of patients every year. PJWeil serves select families on their journey towards a multi-generational legacy that reaches well beyond financial resources. We assist our clients in enhancing inter-generational integration and communication, promoting understanding and mutual respect within the family. Our approach towards financial and nonfinancial aspects of wealth and its management is holistic. We have the expertise and experience required for optimal wealth management and for the successful handling of complex family relations, wealth structures and legal issues. S. Adelsberg & Co. views every client relationship like a partnership, and truly believes that our success is a result of your success. We provide a variety of services including: Income Tax Preparation for all types of businesses, and individuals, IRS and state audit representation; payroll reporting; QuickBooks setup, support and training; business startup services; monthly bookkeeping; auditing; consulting; financial statements – making sure your financial records are timely and accurate. Maccabi Healthcare Services features primary care physicians, consultants in various medical fields and experts in a broad range of medical specialties. Maccabi members benefit from the most well-informed medical teams and advanced treatments. Its six regional centers and 150 branches and clinics throughout Israel, ensure full access to the finest healthcare systems for Maccabi members. At Five Towns Orthodontics, our gentle, compassionate orthodontists – Jonathan Paley, DDS, and Susan Friedman, DDS have been treating children, preteens, adolescents, and adults since 2001. With our highly-trained and welcoming staff, we offer exceptional treatment options for your orthodontic needs and treatment options that will straighten your teeth with minimal discomfort, leaving you with the smile of your dreams. Mordechai Wilk Management Services is a bookkeeping and management accounting firm founded in 1986 in Jerusalem that employs a staff of ten highly qualified, experienced professionals. Our caring staff with their human touch provides full support to our clients and work closely with them every step of the way, from setting up the business through all stages of its development. Meitar Liquornik Geva Leshem Tal is a leading Israeli law firm with a reputation for excellence in domestic and international matters. The firm represents some of the world’s largest multinational corporations in corporate, commercial and litigation matters, in Israel and abroad. Meitar is a full-service firm, representing clients in corporate transactions, including mergers and acquisitions, international and domestic capital markets, banking, finance and derivatives, corporate and commercial litigation, licensing, hi-tech, energy and infrastructure, real estate, antitrust and taxation and other regulatory matters. Precise Publications is a medical communications company that translates important clinical data into meaningful and responsible communications. Our ultimate goal is to educate healthcare providers so patients receive the best possible care. We produce accurate and timely medical and scientific content for publications, presentations, white papers, and other materials. Our company also organizes and creates content for advisory boards to gain clinical guidance from practicing healthcare providers. Greenberg Traurig, LLP is an international, multi-practice law firm with 1,750 attorneys serving clients from 36 offices in the United States, Latin America, Europe, the Middle East and Asia. Greenberg Traurig is among the Top 10 law firms on The National Law Journal’s 2013 NLJ 350, an annual ranking of the largest firms in the U.S. Our Tel Aviv office serves as a gateway for Israeli businesses and entrepreneurs seeking opportunities around the world, as well as companies seeking opportunities within Israel. DLA Piper is a global law firm with 4,200 lawyers located in over 30 countries throughout the Americas, Asia Pacific, Europe and the Middle East, positioning us to provide legal services and solutions for companies globally. We are built to serve our clients quickly, efficiently and with thorough knowledge of local and international considerations wherever they do business. Whether it’s seamless coordination across multiple jurisdictions or delivery in a single location, our clients can rely on us. A private equity firm that helps Israeli growth-stage businesses to reach their full potential, at Goldrock Capital we find unique and creative funding solutions to meet the specific needs of growing companies. Our investment logic is simple: we invest in businesses that we believe in, with a history of success and talented management. We provide growth capital so businesses can leverage their assets and maximize their full market potential, or to enable liquidity to existing investors. Arotech Corporation is a leading provider of quality defense and security products for the military, law enforcement and homeland security markets, including multimedia interactive simulators/trainers and advanced zinc-air and lithium batteries and chargers. Arotech operates two business divisions: Training and Simulation, and Battery and Power Systems. Arotech is incorporated in Delaware, with corporate offices in Ann Arbor, Michigan, and research, development and production subsidiaries in Alabama, Michigan, and Israel. El Al Israel Airlines is Israel’s national airline. In 2012 El Al flew 2 million passengers with revenues totaling about $2.1 billion. Revenues for the first half of 2013 totaled about $960.7 million. El Al serves 38 destinations directly, and many other destinations around the globe through cooperative agreements with other airlines. The Company operates 37 aircraft, 21 of which are self-owned. El Al is Israel’s leading cargo carrier. MedVal Scientific Information Services is a global science-oriented medical communications company with 20 years of experience in marketplace surveillance, gap analysis, needs assessments, thought leader advocacy development, and publication planning. As a strategic partner, we also bring to the table tactical experience in medical writing, meeting planning (from advisory boards to congress management), full-service speaker training & management, enduring materials, website development and hosting, and digital media. Finn Partners Israel (FPI) is the leading international strategic marketing consultancy and public relations agency in Israel today. 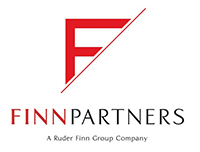 Headquartered in New York, Finn Partners is an award-winning PR firm with deep global media connections and experience in all sectors. In Israel, FP offers the international capabilities and resources of a large PR firm, but operates as a boutique business, providing the results, attention and dedication that Israeli businesses need and appreciate. Montrose Securities Ltd. is a boutique international financial services company led by John Benporath. Our personalized services include Overseas Bank Deposits: High-yielding short- to medium-term bank deposits in Euros, U.S. Dollars, Sterling and Shekels; Mortgage Finance: arranging and providing specialist second (mezzanine) mortgage syndicates to lend on mortgages to qualified property owners, investors and developers and Currency Exchange Services: Money transfer and currency exchange services for individuals and businesses with dealings in Israel. Nike, Inc. is an American multinational corporation that is engaged in the design, development and worldwide marketing and selling of footwear, apparel, equipment, accessories and services. It is one of the world’s largest suppliers of athletic shoes and apparel and a major manufacturer of sports equipment. Holy Bagel offers excellent, fresh food at a high kashrut standard in a pleasant, relaxed family setting. Our wraps and sandwiches made with American-style bagels in a variety of popular flavors and fillings are highly recommended. Holy Bagel also offers a choice of pasta and kugels, and scrumptious desserts, such as donuts, muffins, and brownies, with fresh-roasted coffee. Catering is available at reasonable prices. 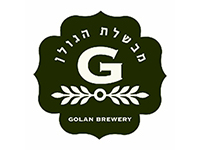 Located in northern Israel, the boutique Golan Breweryspecializes in producing fresh Ayal and Lager beers, all in small quantities. The bees are marketed under the “Bazelet” brand and “Og” brand for limited edition seasonal beers. The brewing process is personally overseen by the brewery’s beer master, who meticulously chooses the highest quality raw materials, including the unique Golan water, which comes from the “basalt aqua” accumulated between layers of the Golan’s underground basalt rock. Zur Agencies imports quality wines from renowned wineries around the world, among them the Herzog and Covenant Wineries in California, the Bartenura Winery in Italy, and Kedem Wineries in New Jersey, as well as leading boutique wines from France. In addition, we carry specialty wines from Argentina, Chile, Spain, Portugal, Australia and New Zealand and other alcoholic beverages from a range of countries – all under strict kosher supervision. Herzog Wine Cellars lie nestled within the strawberry fields and farm rows of California. The winery combines the artisan craft of premium California winemaking with the Herzog family’s unyielding commitment to excellence. Select grapes grown specifically for Herzog wines are chosen from vineyards in California’s most regarded appellations. Only the best fruits are harvested and from them the winemakers create inspiring blends of aroma, flavors and colors, refining them into masterful creations. Chamra Tava is the wine connoisseur’s source for premium wines, spirits and liqueurs from around the world. We carry a portfolio of domestic and international wines from traditional wine producing regions of France, Italy and Spain as well as up and coming areas in Israel, New Zealand and Argentina. Chamra Tava’s spirit and liqueur portfolio features the most sought after scotches, bourbons, tequilas and vodkas as well as hard to find specialty items such as flavored brandies and liqueurs. All kosher of course! 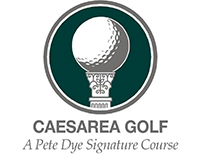 The Pete Dye designed Golf Club in Caesarea is the only 18 hole course in Israel. It is spectacular, spacious and welcoming, and user-friendly. Its subtle challenges demand strategy and make for exceptional days on the green. Beside the 18 challenging holes, par3 with 9 holes, and spacious practice area, the course features a comfortable lounge and balcony with a breathtaking view, clubhouse, pro-shop, and a French style Bistro. A luxury hotel with a country-estate ambiance where Roman antiquities can be found underfoot. Dan Caesarea Hotel – a setting that thrills, interiors that delight, enclosed in a lush garden with the velvety greens of an 18-hole golf course right next door. The sea, sun, light and magic – a delightful combination! Ballrooms and terrace reception areas for conferences and celebrations, boundless attractions with an ideal location halfway between Tel Aviv and Haifa. Brighten your home and your life with JT Roselle in Jericho, New York – the place for all your lighting needs. Pioneer Private Wealth Planning has been providing Holistic Financial Planning and Private Wealth Management services to its HNW clients and UHNW families in Israel and around the world since 1986. Through personal and focused attention from our leading professionals we offer a variety of financial services: Financial Planning, Private Wealth Management services – both Global and Local – and Multi Family Office services. As our clients’ financial wealth keepers we aim to provide them financial peace of mind! Susquehanna Growth Equity, LLC (SGE) is a private equity group investing in growth capital and buyout opportunities in the financial technology, information services, software, and internet sectors. We invest in software, information services, and internet businesses. Mortgage Makers USA is a mortgage brokerage business that has been helping people in the state of Florida with all of their residential financing needs since 1998. You can reach us at 561-447-9580 or 052-786-3766. Whether you’re looking to grow sales, cut costs, develop new products, exit a business or start a business – i2 Integrated Intelligence brings innovative thinking and clear direction to the most complex strategic issues facing business leaders today. Our execution-oriented approach is based on years of experience running companies. We pride ourselves on developing solutions you can execute effectively, and we measure the quality and effectiveness of our work by the impact on the bottom-line. Dr. Rachel Kushner is a Board Certified dermatologist in Franklin Square, NY. Dr Kushner and her staff are dedicated to helping children and adults with all aspects of dermatological care. The specialized attention each patient receives sets Kushner Dermatology apart. Dr. Kushner is known for her caring, warmth, and dedication to her patients with extensive experience in diseases and surgery of the skin as well as cosmetic/laser surgery. Cedarview Capital Management is a SEC Registered Investment Advisor established in August 2004 as an alternative asset management firm, investing in the bank debt, high yield, distressed securities and equity markets. Cedarview emphasizes superior security selection and tactical trading. Our mission is to achieve consistent, double digit returns with limited risk to our investors. Burton Weinstein (Cedarview’s Founder, Managing Partner, and Senior Portfolio Manager) & Cedarview have a documented track records of out-performance. 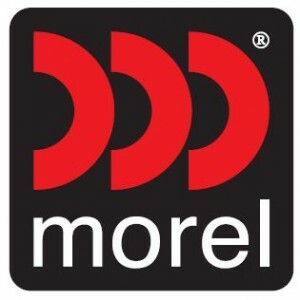 Morel, a leader in sound innovation for over 30 years, continues to break new ground in sound reproduction. Over the years, Morel has developed an enviable reputation for technological innovation and design excellence. Morel drivers, including tweeters, midrange, and woofers are utilized in some of the most demanding, high-end products around the globe. Morel products and sound systems are sold in the home hi-fi, home theater, and mobile audio markets in more than 55 countries worldwide. Matanot for All produces and markets promotional items and corporate branding gifts. We believe in domestic production and in the quality of caring for others as a core value. Therefore, all of our gift packets are packaged by people with special needs. We believe in a high level of personal service and in a strong connection to the consumer. We are proud to be part of the Ezer Mizion family. Noya, a strictly kosher (Glatt) restaurant, located in the heart of Jerusalem, in a magnificent, ancient building, with spectacular, elegant design. Noya Restaurant design is warm, clean, and intimate style, on two levels, integrating Italian and wood flooring. The menu includes unique dishes from the finest of French cuisine with classic creations from Mediterranean cuisine, creating a fascinating, unique, and remarkably tasty culinary experience. Café Rimon is a dairy café located in the exclusive Mammilla mall. Rimon blends fine elegance with homey warmth and offers a breathtaking panoramic view of Jerusalem. Recommended dishes include spinach lasagna, California salad with seeds, nuts, and goat cheese; salmon fillet with Dijon sauce, and more. The menu also offers a selection of soups, grilled toasts, pastas and quiches, and dreamy desserts. 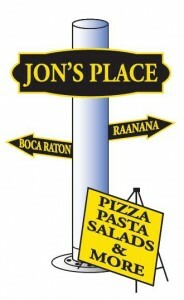 Jon’s Place has New York style pizza, calzones, pasta, salads and more. Come in and enjoy with your family and friends in Ra’anana and Boca Raton!